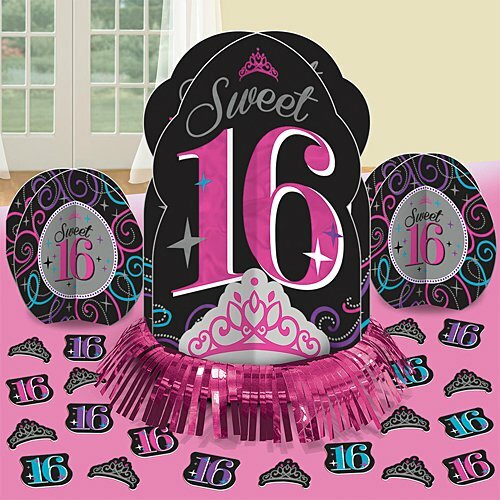 Bring your party theme to all areas of the celebration with Sweet 16 - 16th Birthday Party Table Toppers. Each heavy-duty cardstock paper cutout quickly attaches to the included wooden dowels to create centerpiece sticks that can be used in vases or floral arrangements at all your party tables. You can even add them to candy jars at your goodie table! 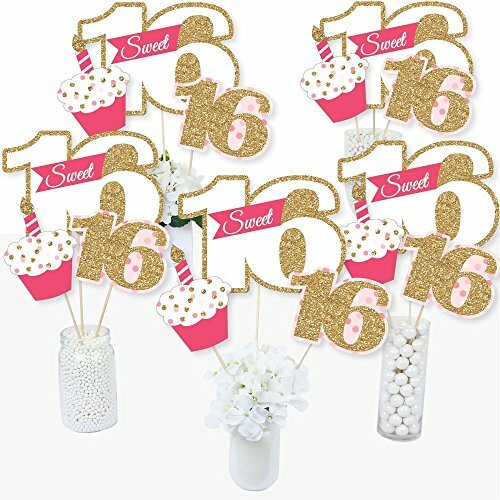 Sweet 16 - 16th Birthday centerpiece sticks may also be used as photo booth props. You will love how versatile this fun party supply is while your guests will adore seeing them throughout your party venue. Get creative with this set of 15 table toppers and have the truly YOU-nique celebration. Beistle 55586 Sweet 16 Centerpiece. Centerpieces are a great way to decorate your home and make it look great. 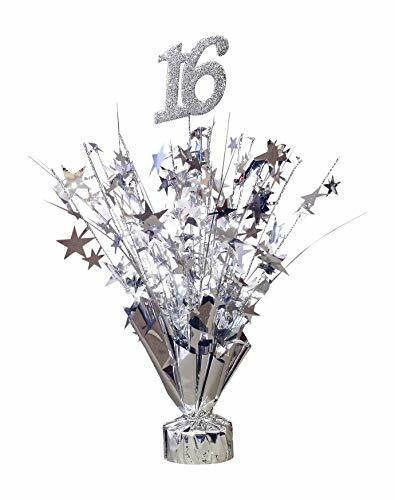 This centerpiece is a great way to show off that your sixteen now and proud of it. Decorate in sweetness in a set. Get this Sweet Sixteen Celebration Table Decorating Kit that will surely, like the celebrant at the party, work its charm. 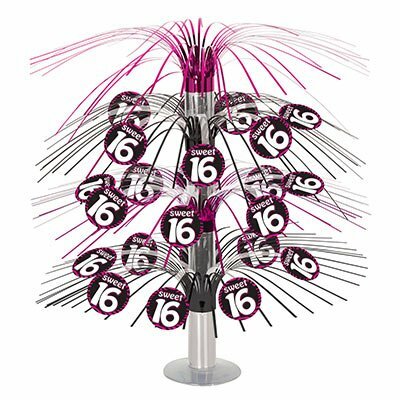 Sweet 16 Cascade Centerpiece. This centerpiece is made of a combination of metallic and board stock. The metallic strands cascade down and have "Sweet 16" round board stock icons attached. The centerpiece is 18 Inch tall. It comes with a plastic base to keep it standing on a flat surface. 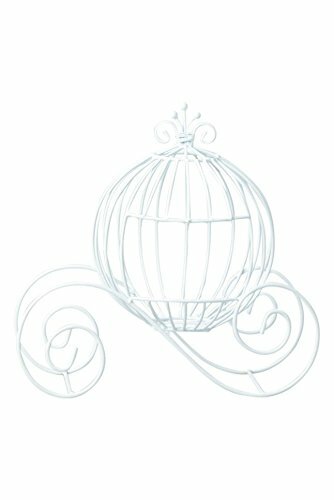 Decorative white metal Cinderella carriage. Small carriage measures 12.5" inches long, 5" wide inches, and 12" inches tall and the large carriage measures 16.5" inches long, 6.5" inches wide, and 13.75 inches tall. They are perfect for centerpieces, weddings, decorations, sweet 16, proms or for any event. May be decorated with ribbons, flowers, tulle, or other crafting materials. They are sturdy and do not move out of place. 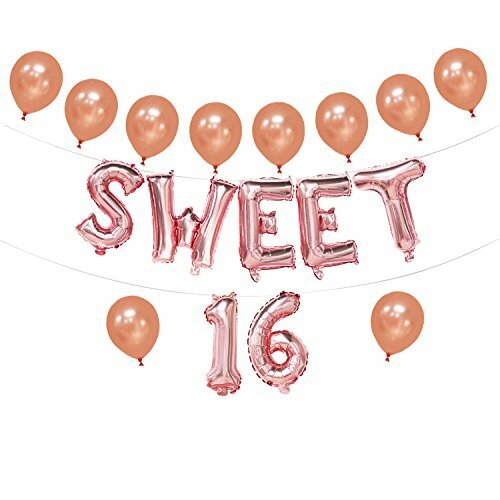 Sweet "16" Party Decorations! 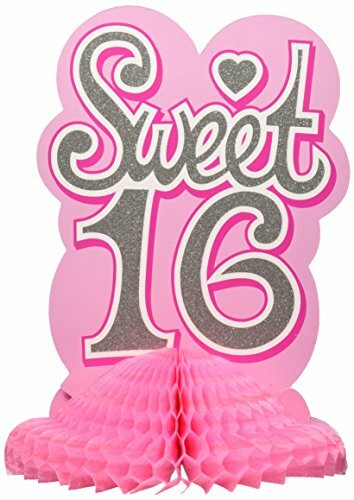 It's your sweet 16 party, and what better way to celebrate than with sweet "16" decorations. Liven up your party tables with "16" centerpieces. 6 centerpieces per package. 15" tall centerpiece. Pink balloon weight base. 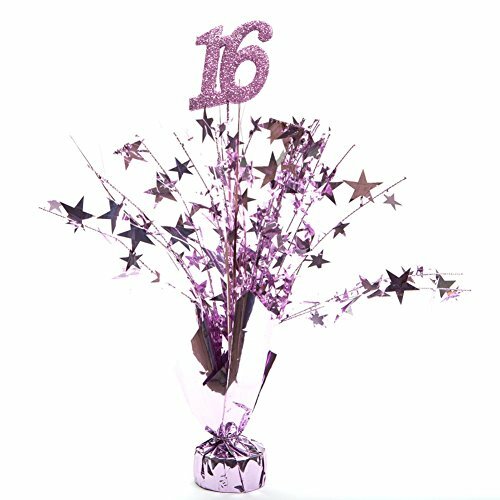 "16" foam glitter topper with star poseable strands. A must have Sweet "16" decoration. The perfect decoration for your party tables. Simply decorate your tables with these centerpieces for instant Sweet "16" style!